At just 80 calories per cup, tiny, potent Wild Blueberries are loaded with antioxidants and pack a serious nutritional punch for every calorie consumed. They are naturally low in fat, high in fiber (21% of your daily value – 2x that of regular blueberries) and have no added sugar, sodium or refined starches. 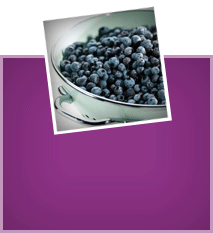 Wild Blueberries are also an excellent source of manganese (170% of your daily value – 8x that of regular blueberries), which is important for bone development. All of this makes Wild Blueberries a naturally nutrient-rich choice–a food that adds important dietary nutrients without adding a lot of extra “empty” calories. 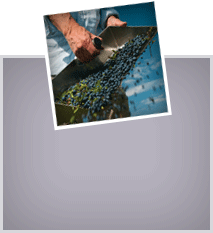 Current obesity rates and associated health risks such as type 2 diabetes and heart disease have led the USDA’s Dietary Guidelines to encourage Americans to cut down on foods with “empty calories” and replace them with nutrient-rich foods like Wild Blueberries. 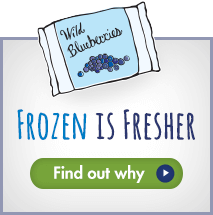 In fact, cutting calories without sacrificing nutrition is a wise weight-loss strategy…and one of the reasons we recommend you take a walk on the wild side and discover for yourself the power behind the tiny, Wild Blueberry.